Most environmental theologians focus their efforts on inspiring a love for the natural world. They seek out metaphors and images from the world’s scriptures to create an ethical revolution so that people will begin to passionately care for the earth. The problem with this approach is that most people already appreciate nature. However, the values that direct their lives at work and as consumers are more important to them. They are more likely to derive their sense of meaning and articulate their goals using the symbols and methodologies of economics. Since the fall of communism in Europe the role of markets in our society has vastly expanded. We have become used to stadium-naming rights, advertisements in public schools, the failure of campaign finance reform, and auctions for cellular- phone bandwidths, a seemingly ever-wider variety of financial instruments, tradable licenses to pollute. We have faith in the ability of markets to solve virtually every kind of human problem. This book claims that environmental degradation does not arise out of a blind rage against nature but rather from complex symbol systems that evolved to meet changing technological, ecological, and demographic realities. Economics as it is taught to undergraduates, business students, and law students is not a value-free, neutral tool but carries with it assumptions and a particular picture of the world. It makes us more conscious of certain phenomena just as it makes many other features of experience invisible to us. 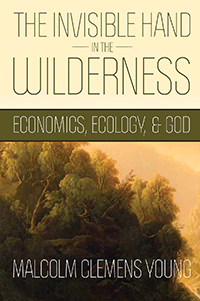 This book brings together insights from three fields: economics, ecology, and theology in order to construct a more healthy and productive picture of human wellbeing. Economic ideas have a theological history that needs to be addressed if we are to begin healing the world.